Smooth, quilted Frost Free shell, with Performance Fleece body lining and soft fill. Built-in hood, with standing collar. Machine wash. Length: 22". Shell / coating: polyurethane. 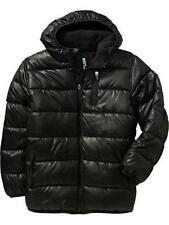 Boy's Old Navy DOWN Winter Puffer Coat. Filling is down. This Old Navy jacket really brings the heat, plus plenty of cool style! Water resistant and warm, the perfect staple for your little man's winter wardrobe. Very gently worn, in excellent condition, no tear or stains. 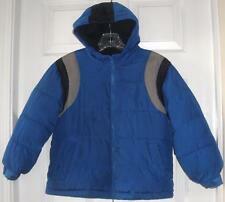 Old Navy Frost-Free Hooded Puffer Jacket for Boys Size 2T. Condition is Pre-owned. Shipped with USPS Priority Mail. Great condition. No rips or stains.